Head through the tunnel and see the light. The Chenin Blanc light. For in the magnificent Breedekloof Valley, one of South Africa’s great wine regions accessed through the Du Toitskloof Tunnel some 80km from Cape Town, the newly formed Chenin Blanc Initiative is exposing wine lovers to some of the best and most expressive Chenin Blanc wines in the country. 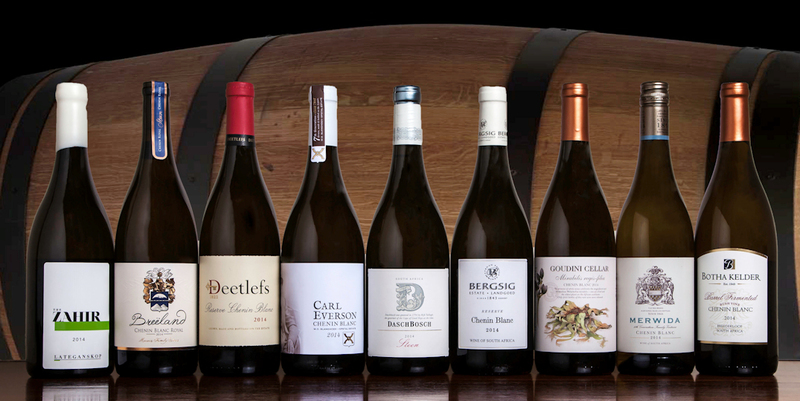 Currently nine of the 22 wineries who are members of the Breedekloof Wine Valley have produced unique, individually-crafted small-batch wines to showcase that which the Valley believes nobody does better: Chenin Blanc. The Daschbosch Steen 2014, especially made for the Chenin Blanc Initiative was made from 24 year-old vines growing in the southern part of the Breedekloof Valley outside Rawsonville. Half of the juice was left to a wild ferment, with the other half inoculated. The result? Savoury undertones and a minerality of lasting freshness. On the fruit side, the Daschbosch Steen lends towards peach and melon, with a slight nuttiness. Goudini Wines is also one of the nine members in the Chenin Blanc Initiative, with Hendrik Myburgh representing this familiar cellar just outside Rawsonville on the project. Goudini, is an indigenous word for bitter honey, although the wines are tasty. For the Chenin Blanc Initiative, Hendrik made the Goudini Mirabilis Regis-Filia Chenin Blanc 2014. And the wine is just as a mouthful as the name! The grapes for the Goudini Mirabilis Regis-Filia Chenin Blanc 2014 grow on sandy soils which also have a rich organic component. The wine was aged for 14 months in new and second fill French oak, and a 14% portion of fresh wine from the 2015 vintage was added to spruce things up. Come and meet the winemakers and taste the wines of the Breedekloof Chenin Blanc Initiative at Cape Wine.